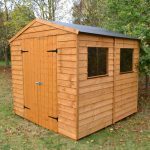 An eye-catching shed which has large double doors for ease of transporting equipment inside and out. 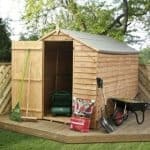 With classic tongue and groove cladding, this will be a welcome addition to any garden and a shed you can be proud of! 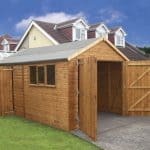 Available in a variety of sizes it is extremely hard wearing and built to last, crafted from durable wood which can be painted in any colour you desire. 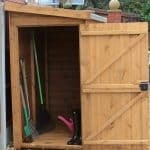 Gardeners everywhere will be delighted with the 5000 range for its superb looks, strength and secure storage. 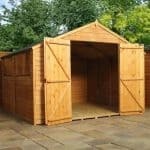 A friend of mine told me about whatshed.co.uk when I told him I was looking for a new shed. I needed something bigger than I previous had. 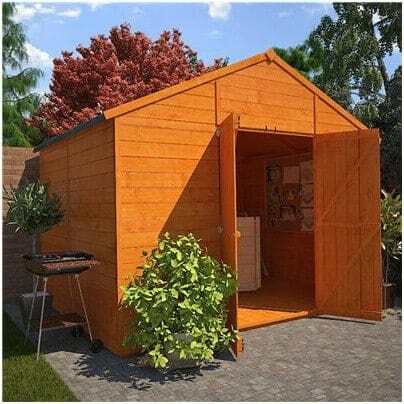 I came across the Billyoh 5000 Windowless Apex Garden Shed and I knew it was something I had to get. I purchased it that same night. When I received it, it didn’t take much to put it together. For the price, I feel like I got more, so I am so thankful my friend told me about the website. 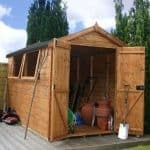 I love the large doors because I do have big equipment that I need to put in there and I am able to with ease now.